This beautiful and charming little 3-drawer Night Stand features the finest craftsmanship and finest materials possible. 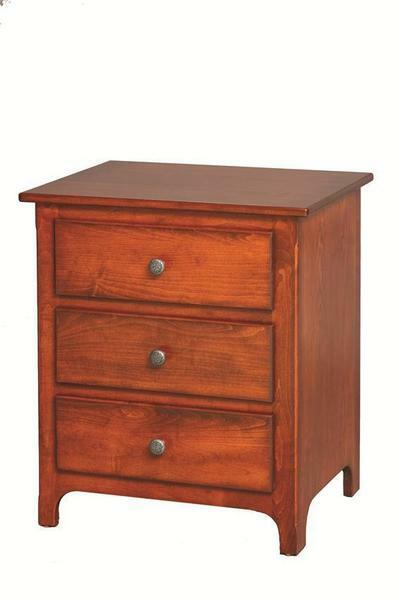 With dovetailed drawers standard, and available soft close, full extension drawer slide, this Night Stand is truly superior. Call DutchCrafters today with question or for assistance placing your order or visit our store in Florida.